Hey folks, Valkor here giving an inside look into the world of Pepcom. Usually with each show, they follow some sort of them – the previous one had a Japanese theme including sushi dishes and hotties giving out Japanese snacks. This time around, for their holiday showcase, an 80's sorta board game theme was chosen filled with games all around like UNO, Simon, hungry hippo, and much more. Even the food was likened to that era such as Mac n Cheese, meatloaf and veggies. I gotta give it up, way to stay the course. But I didn't just go for the food and fun, I went to check out what Pepcom is famous for – new technology and believe me I got my fill. So without further delay, let's take a look at what the not so distant future has to offer. I want to apologize in advance for not having pics of the event itself, normally I do but having lost my camera charger… well that was a minor setback. With pre-CES fast approaching, you know I'll be ready. Casio Mobile – If you're the kind of guy that look for a phone with some serious substance, not just the latest i-this or droid-that, but reliability, functionality, and durability, then definitely look into Casio Mobile's G'zOne line – The Brigade and The Rock. The Brigade is a shockproof, water resistant bad boy that I was told I can drop off of a cliff and it would still work. 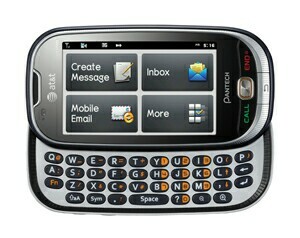 Now don't go out and buy this phone thinkin you can do that; I'm not one for cliffs so I don't know. But I'm sure you can drop it from a good height and it will still work. 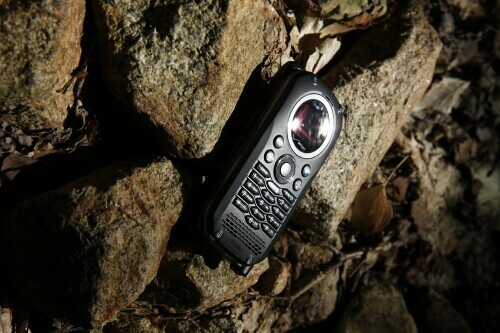 Other features the Brigade has is a 3.2 MP camera, push-to-talk, text to speech, and a VZ Navigator among other functions. Now The Rock has a bit more to it other than being shockproof and water resistant; you'll has a working compass, thermometer, and an Astro calendar among other bells and whistles. After handling the Exilim mobile phone, I look forward to putting these bad boys through the Val-cave stress test. Lego Universe – You've played the Lego games such as Lego Star Wars, Indiana Jones, or even Harry Potter; well what if you could take that concept and apply it to an MMO, where your able to create your own character and interact in a Lego world? Well you would have Lego Universe. As you play through the game, you'll be awarded with Lego bricks, which you can use to create just whatever your imagination can come up with. 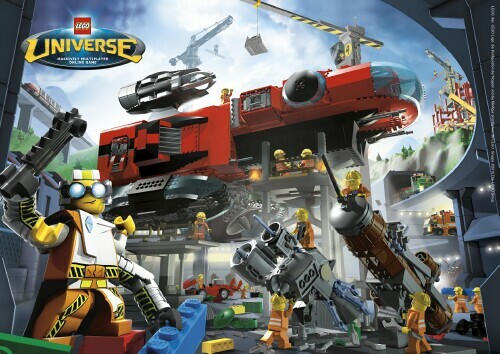 I look forward to givin Lego Universe a spin and you guys should certainly check it out. Phiaton – You want high-end, high quality headphones and earbuds, then definitely give Phiaton a once over. 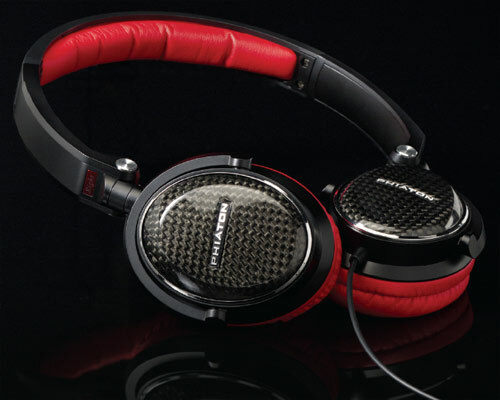 The company has a serious line of headphones to fit your need or style. I have an affinity for the MS-300/400/500 for the quality of audio they produce. But I'm keepin a definite eye on the PS 210i earbuds, which touts a "rich bass and dynamic sound". And finally Phiaton had on hand the MS 600 speakers which has a dock for your iPod, but also touts as being capable to use with other devices. Phiaton looks to have a solid line-up for audiophiles and if you don't know how good they are- now you know. Or at least you soon will. Stay tuned. 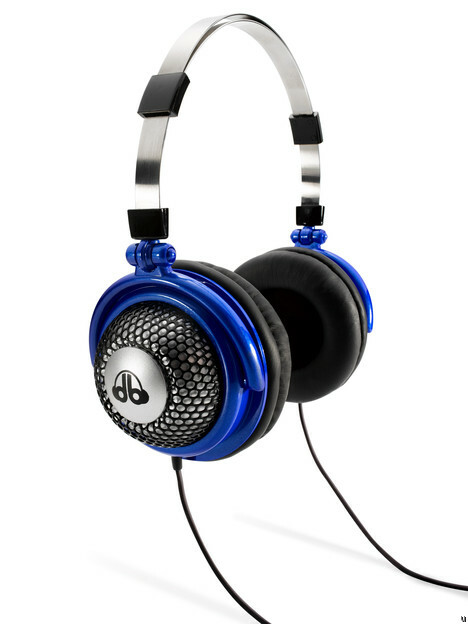 dB Logic – Now here's a company that looks to change the way you listen to your music – by keeping the quality and lowering the decibels so that the young and old can still experience awesome quality and at the same time protect their ears, using "Sound Pressure Limiting Technology" or SPL2 for short. The technology can be found in headphone and earphone, which I was given the chance to test the headphones. My initial impression? Amazing sound quality and you even get some noise-cancelling without asking for it. Seriously, in a crowded arena that is Pepcom that's just flowin with all kinds of noice, the SP2 headphones did a good job drowning out the noise. So I'm impressed, but I have a few more testing areas I'd like to give the technology a run for its money. Jakks Pacific – Toys for Boys is what TOV is all about, can't have Barbie or Bratz gracing these screens. 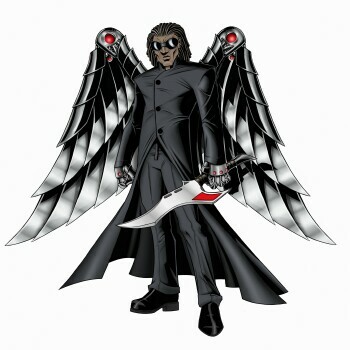 This holiday season get your favorite TOVer into the game with JP's "Spy Net" lineup of toys. 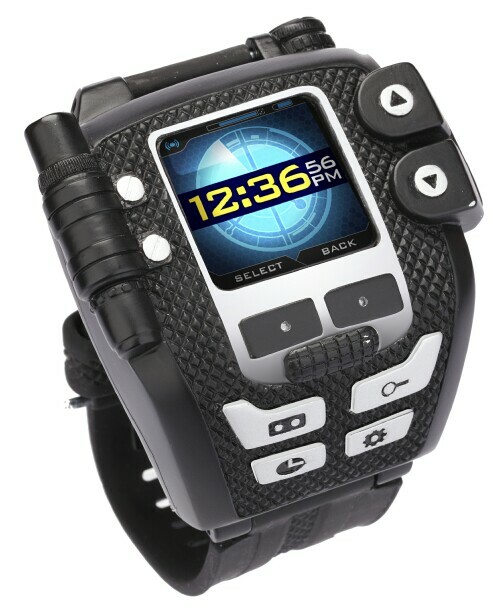 First is a video camera watch which not only takes vids but stills and play em back on a 1.4" TFT screen. Wanna take things to the next level? Add the Spy Net Snake cam for peering around corners or under doors, you know to see if any enemies are lurking about. You also have the Spy Net Night Vision goggles, and finally a voice recording pen. Playing spy will never feel more immersed than with this play set. Memorex – Last time we did a Memorex review, that was in the early days of TOV and its time they made a Val-Cave comeback. Memorex was showing off a great lineup of Wii accessories sure to be holiday hits this year. 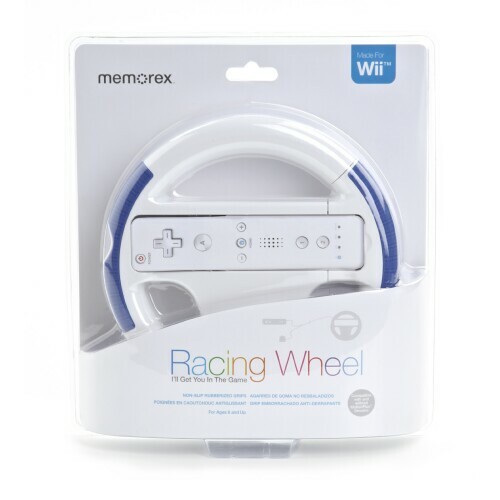 For starters we have the Wii Racing Wheels with MotionPlus compatibility and a lock-in feature so your controller won't pop out when those intense moments arise. 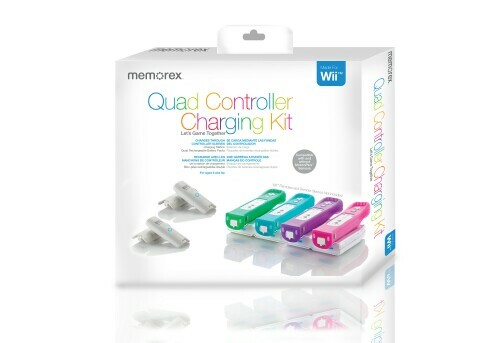 Next up is the Wii Dual/Quad Controller Charging Kit. With this device you no longer have to worry if your controller is propped just right for charging - simply drop and go. And it works well with the Wii remote Nunchuk sleeves, so you can really get a grip during gameplay. No, none of that sounded bad at all. Pantech – I'm all for the concept of keeping it "simple yet effective" and I was impressed with what the folks have to offer after checking out the Pantech Impact here at the Val-Cave, keeping it just that way – simple, effective and I'm tossin in ease of use. Well there not finished knockin me out of my socks just yet; for starters there's the Reveal which has a Blackberry look and feel… actually with the raised qwerty keypad, it actually feels better and it makes hitting those keys a whole lot easier. But if you want something more with a touch screen then you'll want the Ease, which has a raised QWERTY keyboard, dual modes, and a 2 MP camera among other host of features. Finally there's the Link, which has a true Blackberry look, sleek design, large screen and seriously raised button for fast typing. All phones are available now on the AT&T network, check out my Impact review if you're interested and stay tuned for more from Pantech. Imation – Having reviewed the 64GB SSD Upgrade kit, it's only natural to wanna dip into the waters of Imation. And what they have splashing around in their pool… stuff that dreams are made of. 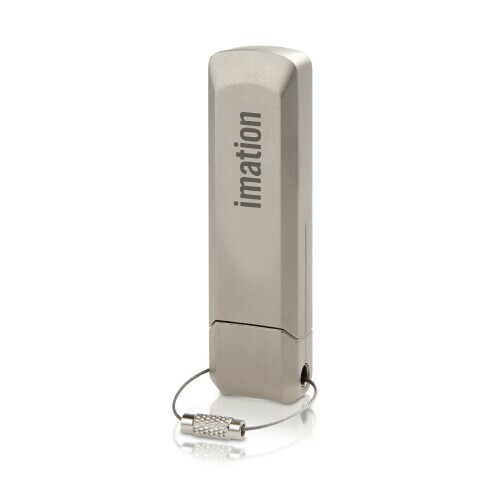 Three items of interest include the Imation A/V Link that streams content from your PC or laptop to your television. Next is the Defender series of Hard Drives and Flash Drives. And what sets this series apart from others is the "FiPS Level 3 validated drive and biometric authentication". What does that means in layman's terms? It means your confidential works will be under tight security. Finally we have the Apollo External Hard Drives, which go as high as 2TB and supports USB 3.0 (backwards compatible of course). Not too shabby, Imation, not too shabby indeed. PDP – You want gaming accessories? You can't handle gaming accessories! Well… actually you can if you have the proper system for what PDP has to offer. First up for you folks planning on purchasing Epic Mickey, pick up the Epic Mickey Nunchuck Paintbrush for the Nintendo Wii. 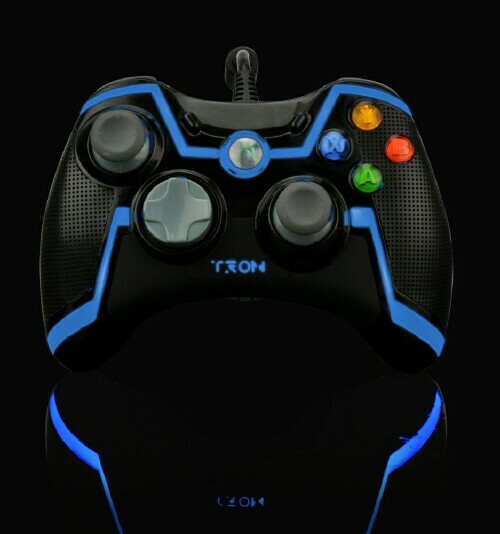 However if you're a Tron fan… hell even if you're not a Tron fan, you will get a kick out of the Tron Evolution controllers for the PS3 or Xbox 360. Not only do they have a Tron-esque glowing effect, but the analog and D-pads are switched for an even greater comfort in gameplay. On top of that they feel so… wonderful to the touch. Finally for the Wii, PDP is putting out a Call of Duty: Black Ops headset, which makes you look like a badass on such a weak… yet strong selling system. Speck –The company who has graced TOV in our TechGear section, was on hand showing off some cool netbook and iPad products that you'll certain enjoy. First up is the Corepack FLY 10, which serves two functions: 1) its airport friendly with a nice grab and go feature, and two doubles as a work area for when you're on the go and wanna get some work done or just to entertain yourself. Next is the A-Line 10 tote bag… it's a bit too "stylish" for our regular readers but for our lady readers, you may wanna give this a go. But for iPad users, Speck has you covered with a variety of cases and sleeves, starting with the candyshell (I've got my eye on the BatWing model), and PixelSkin for easy gripping, and Satin, which is similar to the candyshell, but softer to the touch. 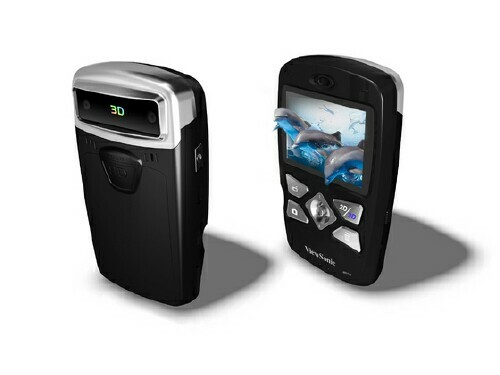 ViewSonic – Talk about an a bevy of product to drool makers. From the makers of all things displays, ViewSonic is gonna bring down the house with their wide assortment of wondrous goods. Starting things off is the DVP5 Pocket DV Projector, can connect to most PMPs (portable media players), with a display of 65". How about 3D? 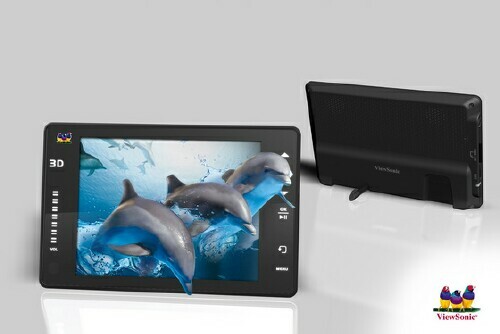 Well ViewSonic has two products that answer the call with the first being the 3DV5 3D camcorder, which also allows you to view pics and images without the use of glasses (Quite impressive). Next is the 3DPF8 3D digital photo frame that will take your standard 2D images/vids and convert them to 3D. Next up is the 10" gTablet, which clearly goes up against the iPad. And me not being a fan of i-anything (yes I'm a hater), well this is right up my alley. 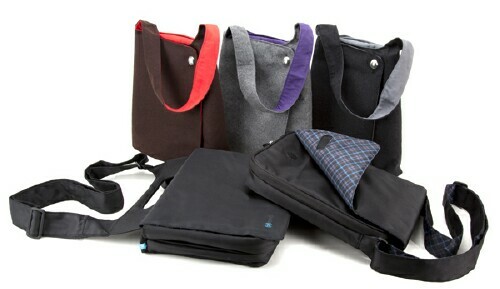 You have access to tons of apps, eReader, view images and vids in full hi-def, plus expandable storage of up to 32GB micro SD. I was impressed with the overall ease of use and motion technology, plus video looked amazingly crisp and clean. Finally we have to mention the NexTV VMP75 Network Digital Media Player that looks to blow Seagate's Theater+ out the water. Not only can it view most if not all media and audio files, but you also have a full-on graphic interface, integrated web browser, keyboard/mouse support and much more. I'm not hatin on Seagate, but ViewSonic… DAMN that's impressive.